CETME HK 91, 93 etc. Picked this up a while ago, I always loved the looks and it handles superbly. Got the collapsible buttstock for it. Found a 10 pack of magazines for $40. 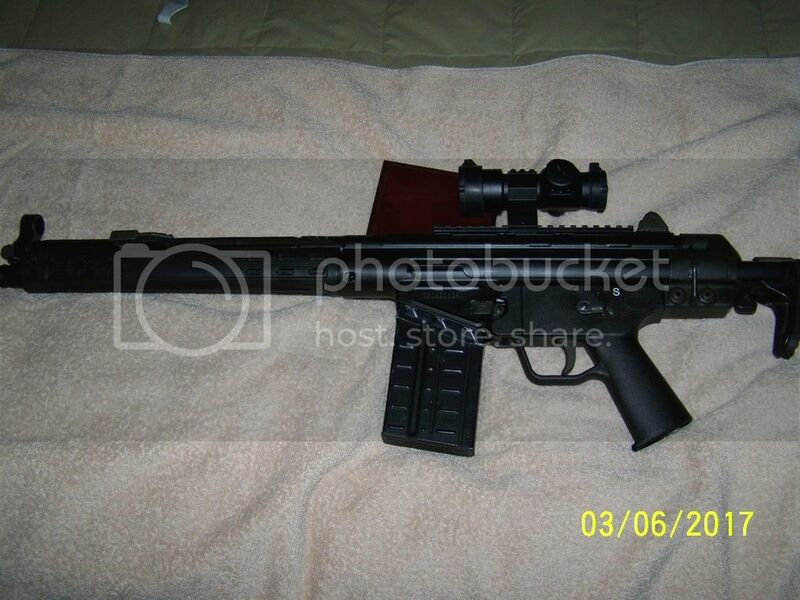 Good enough shooter that I am considering a 3x9 scope on it. If anyone has a tropical handguard, let me know! Recoil - wise, may I suggest the fixed 10x40 Bushnell Elite 3200 now called the LRS. It used to be shipped with the Barrett 50 and it came recommended by my fellow Canuck who runs M14 and M1 Garand tuning clinics.